Can Not use my pictures without my permission.Males are not for sale. 2. Nitwit- He's a Full Witblit,100% Het for Hypo Male. Bloodlines are Father Red Het Wit. from Jelas x Hypo het trans & Silver back. Mother hypo het witblit from homegrown dragons. he was produced by a Het to het pairing to further improve the Witblit line. He was produced by and purchased directly from Josh D. as a baby.He's currently 19 inches, 425 grams, just turned 1 year old. 3. Godzilla- He's a Jumbo yellow citrus/w. Stripe 100% Triple het for Witblits, Hypo and Translucent.Father Yellow Hypo Trans/ With Stripe. Mother was a Jumbo Witblit . I got Him from Josh D. Phantom Dragons as a baby. Just turned 1 year old, 20 inches, 480 grams and G-R-O-W-I-N-G-! 4. Cajun- He's a Gorgeous Double Het. for Hypo and Trans. He's a Large boy around 20 inches 775 grams. 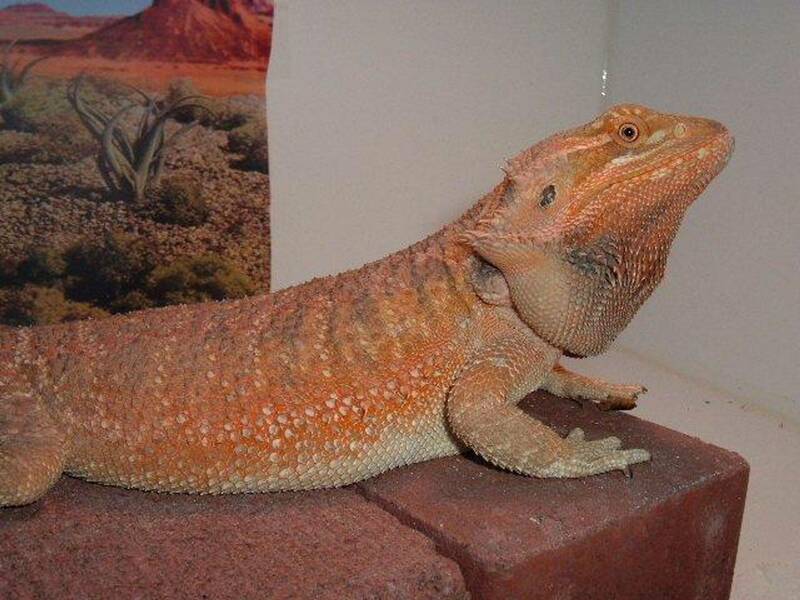 Fire and Ice,Crimson Red x Phantom Red lines.Produced here at Rainbow Bearded Dragons. May carry the German Giant gene that runs in these lines. 5. Jock - A two year old Hypo Italian Leather produced here at Rainbow out of Dakota x Jack. He's 19 inches and 550 grams. 6. This is Rague, a STUNNING Red Black eyed Trans. male. Father of the clutch. He's also 100% het for Hypo, produced by Mike Moran, Galaxy Dragons. PICTURES ARE PROPERTY OF RAINBOW DRAGONS. CAN NOT USE MY PICTURES WITHOUT MY PERMISSION !